'HOW HIGH?' 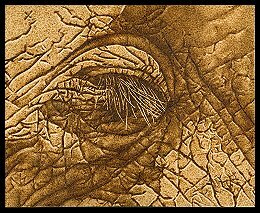 Visual diary of creating a monochrome elephant eye and skin texture. 2) Only one further stage has now been completed. I have added some more tone and texture but have not touched the lines any further yet....that comes next.Not sure what I am yet? If not, I'm sure you'll see soon. We have a long way to go though! 3) Still progressing. You can probably see what it's going to be now. 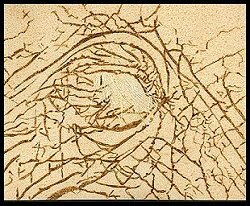 This is part of a series being currently worked on called 'Beauty Is In The Eye Of The Beholder'. 4) At this point I am starting to 'flesh out' the hide. 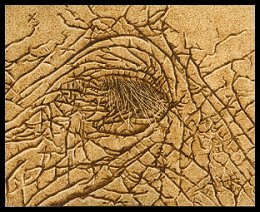 Obviously I'm trying to create a leathery/3D texture feel to this piece. 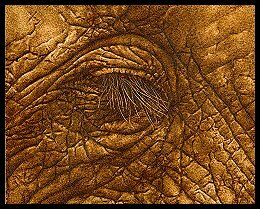 It's also important that I capture the 'character' of the Elephant...to try and portray some of it's life even though it's a 'close up'. Much the same as the worn skin of an older human will tell a tale. 5) A continuation of the 'fleshing out' process. Seeing I'm working with quite complex tone within tone, I feel I'm losing the overall unity of the piece. I'll approach this in the next stage and pull it together before sharpening up and adding the realistic touches. 6) Time to put this one away for a couple of weeks. I've worked it as much as I will at this stage. I might tighten it up when I take it out again, but feel generally pleased with the effect. The lashes appear Much lighter than they actually are and of course the scan fails to properly capture the piece as the naked eye sees it. I hope though, you have enjoyed the journey. Feedback is very welcome.